Helen Arteaga is the Assistant Vice President of the Queens Network and Executive Initiatives and the co-founder of Plaza del Sol Family Health Center, a division of Urban Health Plan, Inc.
A long-time resident of Corona, Queens, Helen grew up understanding the role that health care had on a community. She dreamed of establishing a community health center that would provide quality health care to local residents. Following the death of her community activist father, she set out to build that health center in her beloved Corona. Working with Our Lady of Sorrows Church and other community leaders, she sought out Paloma Hernandez, the President and CEO of Urban Health Plan, Inc., to make her dream a reality. Together, they opened Plaza del Sol Family Health Center in June of 2009. Last year, Plaza Del Sol provided care to more than 27,000 patients and saw over 57,000 visits. The health center was dedicated in memory of her father in 2014. Helen has a bachelor’s degree from New York University and a Master of Public Health from Columbia University Mailman School of Public Health. 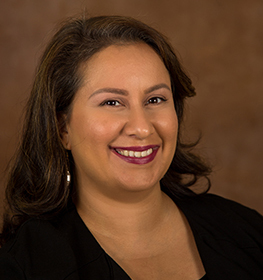 She was a White House Intern in 1998 during the Clinton Administration and completed a fellowship with the National Hispana Leadership Institute in September 2010. In March 2016, she was appointed to the NYC Health + Hospitals Board of Directors and NYU Alumni Board of Director. In 2011 she was one of 31 women selected by the New York City Commission on Women’s Issues to be featured in “NYC Women: Make it Here, Make it Happen,” a series highlighting women who made a difference in their communities. She also received the Community Impact Award, Humanitarian Award and City of New York American Dreamer Award. She is happily married to Victor Landaverde and is the proud mother of 3 amazing children: VictorLuis, Moses, and Victoria. She continues to reside in Corona, Queens.